The NFL has allowed Adam “Pacman” Jones to return to practice. 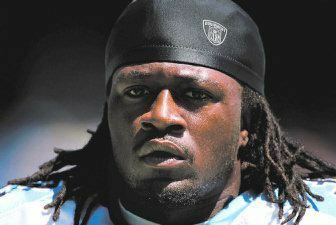 Suspended Dallas Cowboys cornerback Adam “Pacman” Jones moved a step closer to becoming an active NFL player again Monday when NFL commissioner Roger Goodell gave him permission to participate in practices, training camp and preseason games. Goodell said he will wait until Sept. 1 — six days before the Cowboys’ season opener against the Cleveland Browns — before making a final determination on full reinstatement. But being allowed to get on the field with his teammates even on a limited basis was a much-welcomed step in the right direction for Pacman and the Cowboys. He will make his Cowboys debut during the organized team activity workouts today. It’s absolutely unconscionable that one man has this much power to decide the livelihood of another. Presumably, though, Goodell wouldn’t allow a man to practice only to deny him the opportunity to earn a living once the season starts. If this is being done in good faith, the only rationale for holding the final decision over Jones’ head is to add incentive for good behavior.